The Furminator probably has the coolest name for any dog grooming tool. 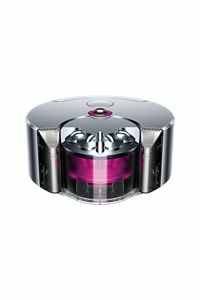 Luckily, it’s able to follow up that cool name up with some pretty decent functionality, especially for Husky owners. The Furminator’s big selling hook is that it’s got a solid fine-tooth comb design with a nifty push button that can push out any hairs captured within its teeth. That alone is a pretty good draw for getting the Furminator, you no longer have to take the time to pull out the hairs from the brush, with one simple push it’s all gone. 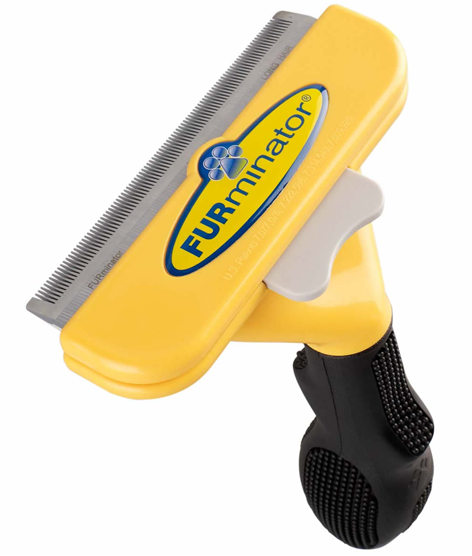 Here is the Furminator I use on my Husky. It’s the ‘Long Hair’ one for large dogs. Fine teeth are great for pulling the most pernicious hairs. The push button cuts down on grooming time it would take to pull the hairs off the brush. The fine teeth do tend to pull on the coat sometimes, causing the dog to instinctively snap back in a “what is going on back there?” motion. The push button won’t push ALL the hairs, but this is a minor con since it pushes out MOST of them. The Furminator is a great tool for any Husky owner’s dog grooming arsenal, I highly recommend it. I mean, sure, it can occasionally pull on a random hair causing the dog to snap back, but overall it takes out a good amount of shed hair and helps you dispose of it in half the time it takes with regular brushes.